If you are reading this, I am sure you have heard of cryptocurrencies and cryptocurrency exchanges. But for those who haven’t, cryptocurrency exchanges are the gateway to cryptosphere from where one can buy/sell cryptocurrencies for fiat or other currencies. At CoinSutra we have reviewed numerous cryptocurrency exchanges, but the one we are covering today is unique. It is also one of the oldest cryptocurrency exchanges – Bitstamp. 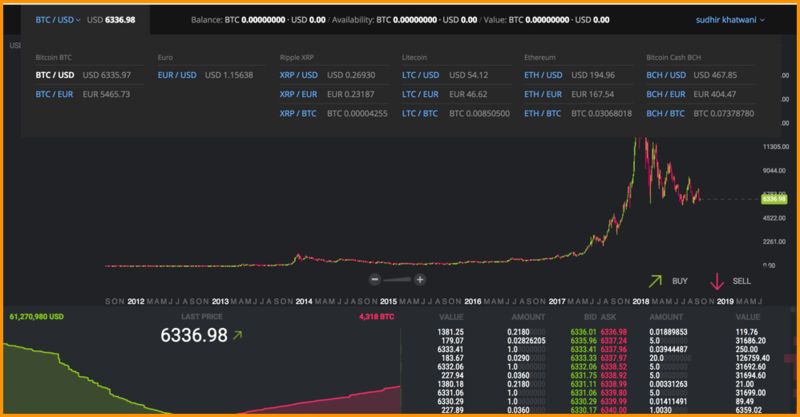 Bitstamp is a popular Bitcoin exchange, especially in the European region. It was conceived in 2011-2012 to create an alternative to Mt.Gox which was the only exchange available then. 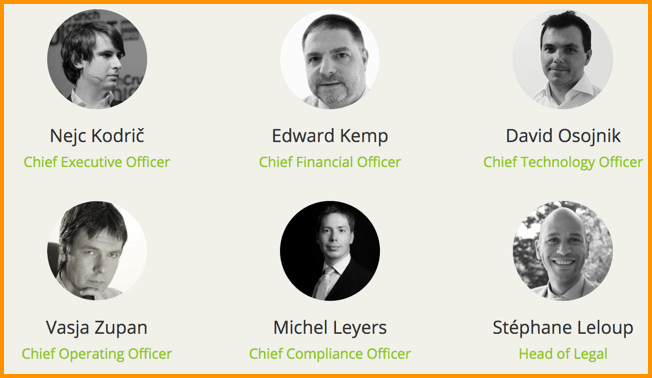 Co-founded by CEO Nejc Kodrič, Bitstamp is based out of Luxembourg. Kodrič is also a well-known member of the bitcoin community. 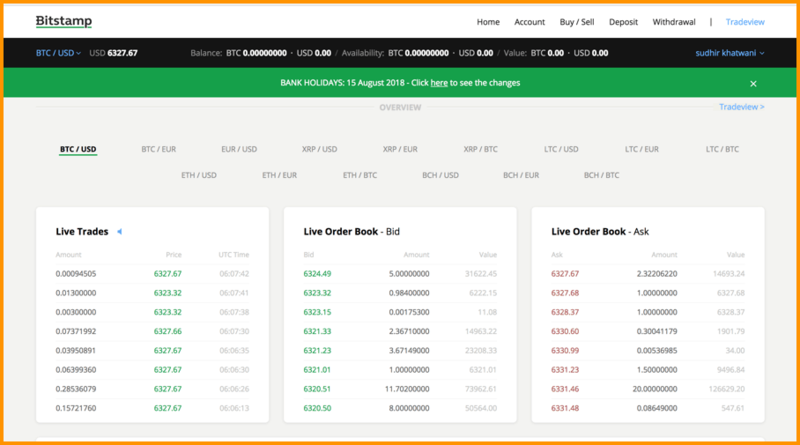 On Bitstamp, you can trade some of the popular cryptocurrencies in EUR and USD, the details of which I will discuss further in this article. Bitstamp team members are genuine. I was able to find them on different social networks, so given their history and web presence, you can trust the team members. That’s why KYC is mandatory on Bitstamp before you can use it. Moreover, it is fiat based exchange, so you need to comply with KYC requirements anyway. To get started with Bitstamp, you simply need to register using your email ID and then verify your identity. Personal accounts: Intended for personal, non-commercial use only. Corporate accounts: Intended for business purposes and used by legal entities. Bitstamp in 2017 halted new registrations temporarily due to a surge in new registrations. However, later in 2018, they revamped their UI and opened registrations. I personally never liked their UI, before or after the changes, as it doesn’t suit my trading style. It doesn’t mean that their UI is unusable. It is just slightly tedious to navigate on it. Currently, Bitstamp ranks in the top 30 cryptocurrency exchanges by volume according to CoinMarketCap. It has a volume of over 11,000 BTC. If you look at it in terms of liquidity, this amount is by no means less, but when you compare it with top five exchanges, these number sure appear small. Another reason for it to be low on the ranking is the fact that it has not spent too much money on marketing or launched an ICO like Binance. 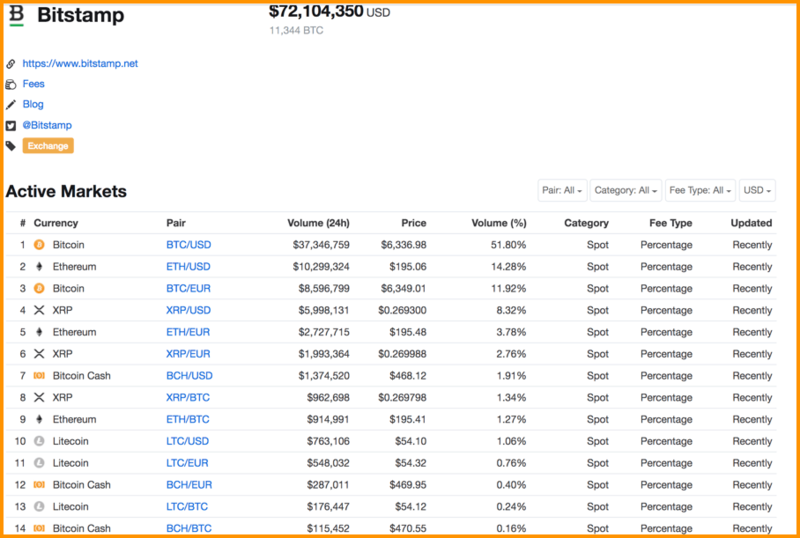 Bistamp‘s trading fee is on the higher side, unlike Binance or KuCoin. But Bitstamp doesn’t follow the maker/taker model and has a decreasing trading fee structure as your volume increases as per the below-shown schedule. If you are in a hurry, I would suggest you to go through their FAQ section where you will find most of your queries resolved. But if your issue persists, you can use their online ticketing system through which you can raise support tickets based on your question. Don’t expect a reply soon. It can take up to 24-48 hours to get a reply. 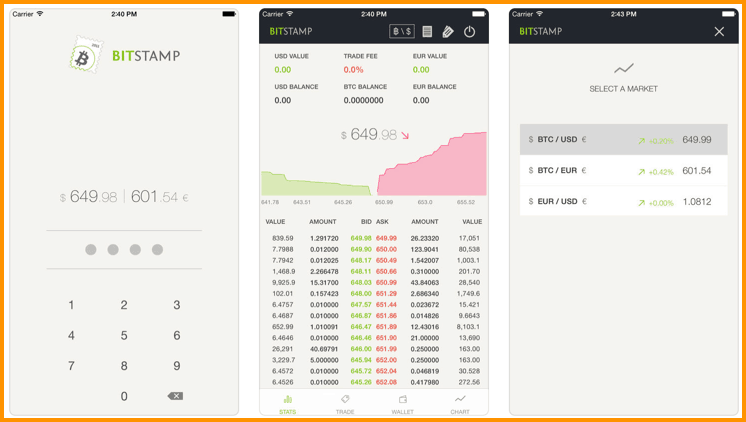 For fiat and cryptocurrency lovers who want to trade on the move, Bitstamp has fully functional iOS and Android apps that you can use right now. 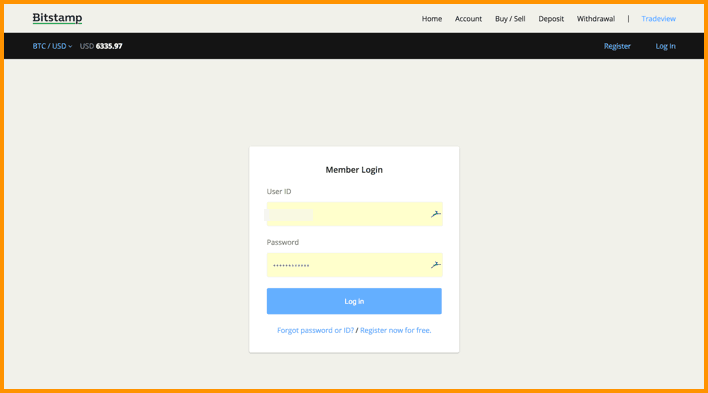 The login details that use for accessing its web version can be used on the mobile apps too. But these apps have a limited interface and are not the very best to use. Bitstamp is one of the oldest crypto exchanges, but it has failed to evolve with time. Also, it has neglected adding new cryptocurrencies on its exchange. Plus, they don’t have funds or backing from ICOs or VCs to innovate as swiftly as other exchanges like Binance, KuCoin, Huobi. To stay relevant in the market, Bitstamp will need to innovate with time and launch their native token if they want to stay in the game. Its hack history suggests that it has to work upon its security too, which they claim now has become robust. In February 2014, it suffered from the denial of service attack in which 75 BTCs were demanded as extortion. Later in January 2015, Bitstamp suspended its services after a hack during which approximately 19,000 bitcoins were stolen, reopening only a week later. However, these are not new stories in the realm of centralized crypto exchanges as many people trust their BTC on such exchanges. 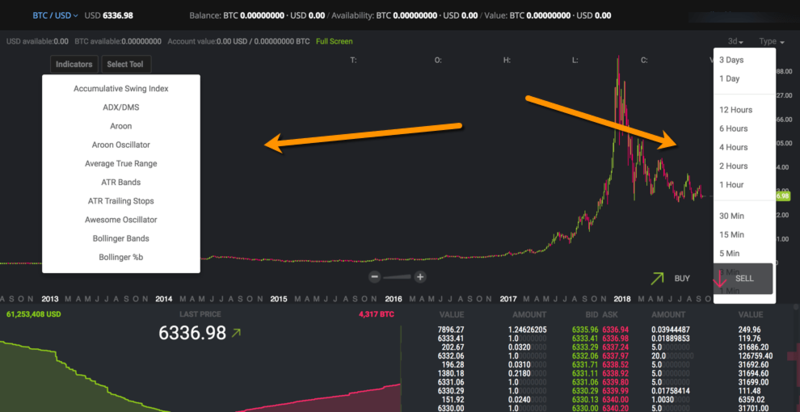 That’s why here at CoinSutra we repeatedly remind you not to store your crypto coins on Bitstamp-like exchanges. Instead, rely on Ledger Nano S-like devices. 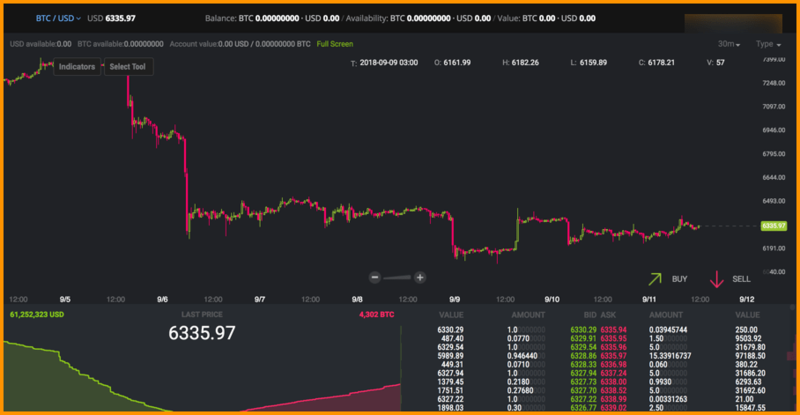 I’d say, to conclude, if you have not used Bitstamp yet, you should have a look and feel of the product today and decide for yourself. 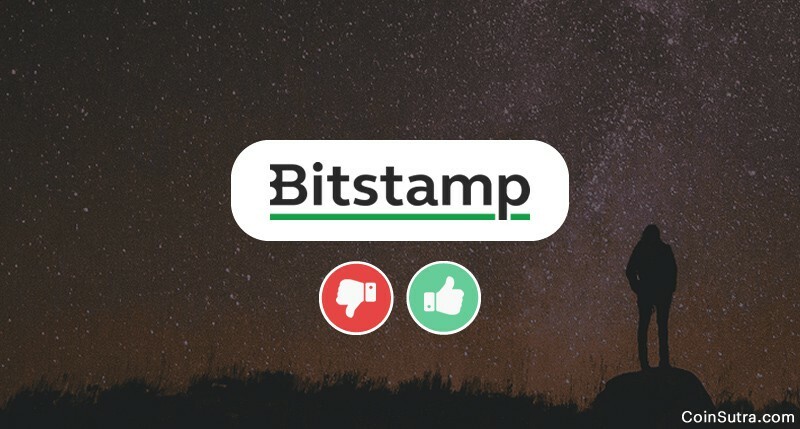 Now it’s time to hear from you: Have you used Bitstamp before? Do you like its UI? What do you think about its future? Do let us know your thoughts in the comments below!